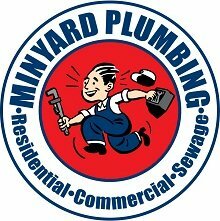 Plumbing Services, Lenoir, NC | Minyard Plumbing, Inc.
We are the most trusted and respected company offering plumbing services in the area. Do you know what happens when you call a company with more than 30 years of experience providing plumbing services? If you call us at Minyard Plumbing, Inc., we can unequivocally say you will get the most trusted and respected company in the Lenoir, North Carolina area because we will effectively and efficiently resolve your plumbing needs, whatever they may be. Our family-owned plumbing services company has had three generations of skilled professionals, all with a passion for doing the right thing and putting our customers first. We have earned a solid reputation for quality workmanship for everything from fixture installation to pipe replacements. Throw your messiest plumbing issues at us and we’ll get them resolved before you know it. A few of the plumbing services that we offer include sump pump repair, sewer repair, water heater repair (standard and tankless water heaters), backed-up toilets, clogged drains, leaking faucets, and garbage disposal repair. We install water heaters, dishwashers, faucets, toilets, water purification systems, tankless water heaters, and garbage disposals. This is just a small sample of the plumbing services we offer as a full-service plumbing company, so don’t hesitate to contact us for any plumbing situation you may have. We guarantee all our plumbing services as your 100% satisfaction is important to us. In addition to normal plumbing services, you can call us for 24-hour emergency service, even on the weekends, when a plumbing problem can’t wait. If you have any questions or would like to schedule an appointment for plumbing services, don’t hesitate to contact us. 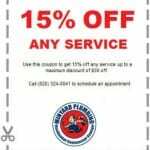 At Minyard Plumbing, Inc., we offer high-quality plumbing services in Hickory, Bethlehem, Conover, Lenoir, Lincolnton, Morganton, Newton, St. Stephens, and Taylorsville, North Carolina.